CLAIM: Environmental activists claim that their actions to protest the Keystone XL Pipeline have been successful in reducing Canadian oil production. While production cuts have been imposed, they are already proving to be short-lived as more oil begins making its way market via railroad. Oil prices in Canada plunged last fall due to a burgeoning supply glut resulting in large part from a chronic shortage in available pipeline capacity. In response, Alberta—Canada’s largest oil-producing province—imposed a temporary 8.7 percent production cut in order to clear the backlog of oil waiting to be shipped to market. The cuts, which went into effect January 1, have already been eased twice and are likely to be phased out completely this summer when additional rail capacity comes online. Alberta Premier Rachel Notley said in February that the province would lease 4,400 rail cars, which will haul up to 120,000 barrels per day primarily to U.S. refining hubs. 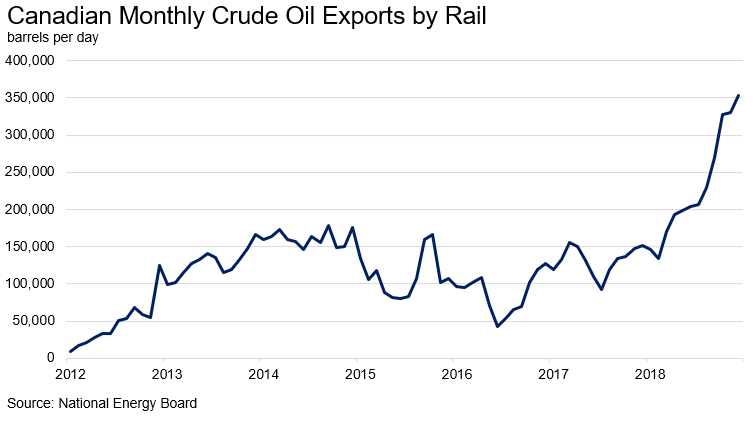 Canadian crude oil exports by rail averaged over 350,000 barrels per day last December, representing a more than 132 percent increase from December 2017. Continued delays in pipeline infrastructure projects will almost certainly result in even more Canadian oil moving by rail in 2019. Not surprisingly, this surge in oil train traffic is raising the alert level in communities across the country, including the City of Rainer in northern Minnesota. “I see tons of oil cars go through and they are always a concern,” said Rainer Mayor Dennis Wagner in a recent interview with the Minneapolis Star Tribune. Wagner’s concerns are not without merit, given that the risks associated with shipping oil via rail are far greater than modern pipeline systems. In fact, a recent analysis found that rail was “over 4.5 times more likely to experience an occurrence when compared to pipelines.” Shipping oil via pipeline also has environmental benefits, including a significantly smaller carbon footprint. Researchers at the University of Alberta calculated that pipelines result in 80 percent fewer greenhouse gas emissions than rail alternatives. 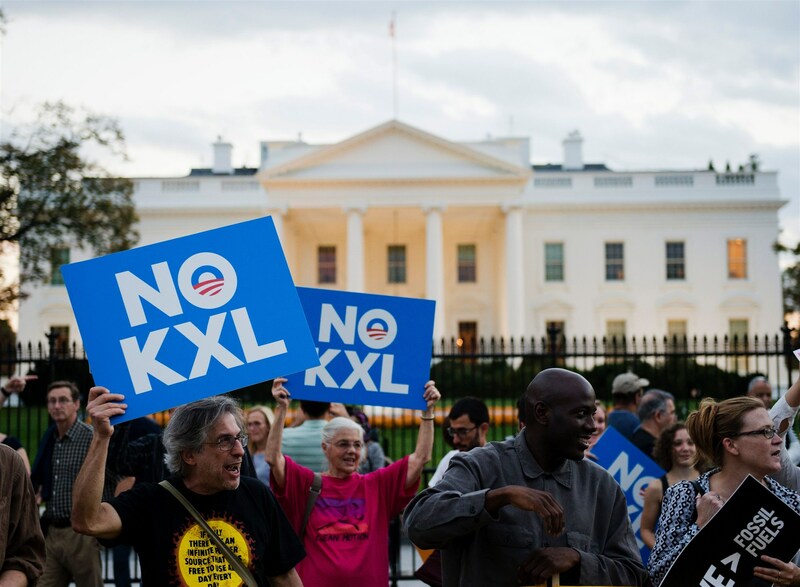 Bottom-line: Protests against the Keystone XL Pipeline have not curtailed oil production, they’ve just made the transportation of energy resources less safe. Energy resources upon which our economy depends on will move to market with or without a pipeline.